Mystery Godoku. Solution for 11/26/2007. 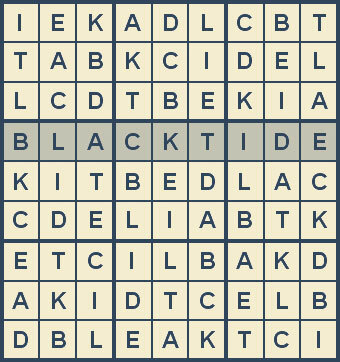 Welcome to Mystery Godoku for 11/26/2007. This was the 2nd mystery in the Lewis Cole mystery series by Brendan Dubois (9 letters).